Amoo Returns to Sunshine Stars as the Club’s New Technical Adviser. Fatai Amoo was unveiled to the public on Monday in Akure as the new technical adviser of Sunshine Stars FC. He takes over from the ousted manager Samuel Abimbola, who was sacked after a poor run of form by the Ondo State sponsored club in the Nigeria Professional Football League (NPFL). In a brief ceremony supervised by the Head of the Technical Committee of the Ondo State Football Agency Akin Akinbobola, Amoo described his return to Sunshine Stars as homecoming, stating that his new role is challenging but he’s equal to the task. “This is homecoming for me. I hope to surpass my previous achievement at the side. My last tenure won the side the WAFU Cup and they’ve progressed beyond that level in the years gone by. “It’s a big challenge, there is no two ways about it but suffice it to say that I like it where the challenge is big and demanding. Sunshine’s interim manager Napoleon Aluma was confirmed as the side’s first team coach, while the assistant coaches will be named in due course. 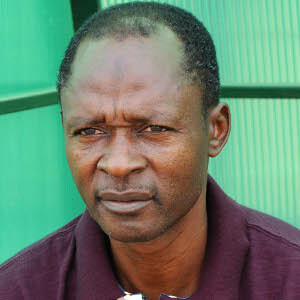 Amoo has been mandated to lead the Ondo State representative in the NPFL to the continental stage in the ongoing 2012/13 season. His first assignment will be mid-week Match Day 16 clash with Nasarawa United at the Akure Township Stadium. Sunshine Stars have earned 21 points from a possible 45 so far this season. Previous articleSharapova, Overcomes Jankovic’s First Set Scare on Her Way to the Semi-Final. Next articleFulham FC Signs Maarten Stekelenburg From AS Roma.